The design uses the archetype shape of the half circle to represent the rainbow Bifrost, connecting the land of the Gods, Asgård to the land of the humans, Midgård. 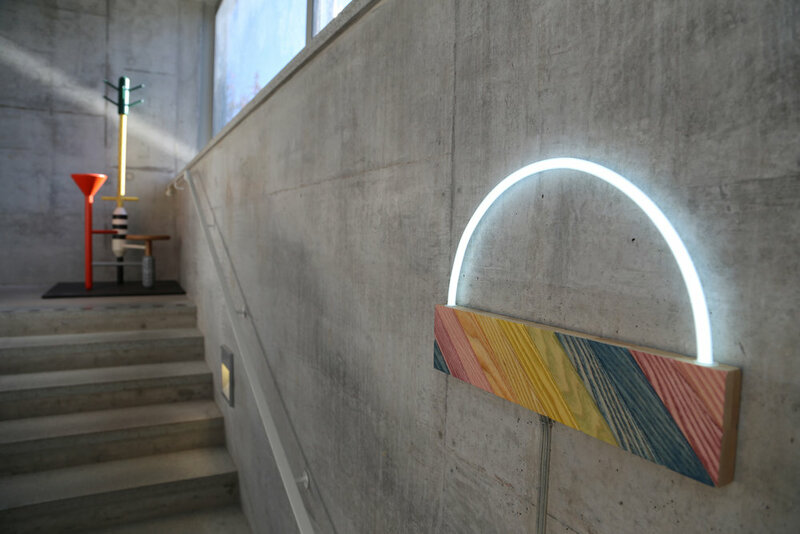 The industrial craft of making neon lights was used as a contrast to the crafted base in ash wood diagonals treated with natural dyes from vegetables and spices, a result from Petra’s experiments. Base made by Ali Atie. 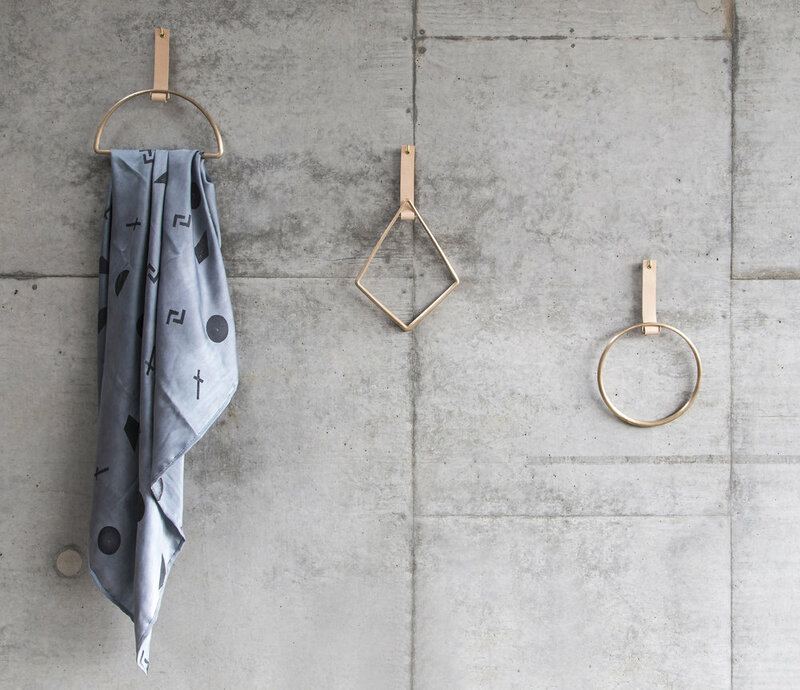 The shapes and forms of the wall hangers was derived from the Tree of Life. Production combines new technology of 3D-printing with historical technology of casting metal. Petra Lilja's mirror design is inspired by the road to Helheim. The designer sees the circular shape and the use of mirror glass as a symbolic portal, a transition from one place to another. The round shape of the mirror comes also from a common design for small wooden boxes from the peasant era, in Swedish called "svepask", where the thin strip of wood overlap and is sewn together by a decorative seam. Made by Kristoffer Eliasson. 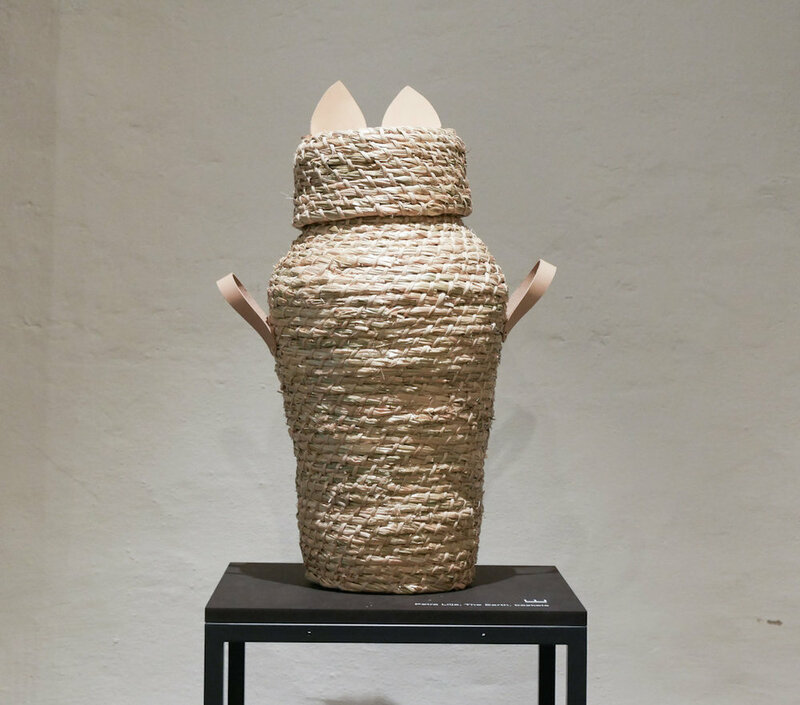 The baskets are made of straw as a material connected to harvest, having in mind Freyja as the goddess of fertility who was the one taking care of crops. Low status of straw, rarely used in Sweden for more than Christmas decoration purposes, became for Petra Lilja a challenge. The two over-sized baskets are designed as the celebration of the animism in the story of Freyja's two blue cats. Made by Carina Åkesson.